Ash, sure it’ll be grand! With the fiendish people in Iceland planning to spew ash into the air for the next several years, governments have put their highest-paid “worst-case-scenario” thinkers to work. That’s right, ash is now considered the greatest threat to world peace and profiling at airports will no longer include brown people, but will target instead hardy, blonde, blue-eyed types with rosy cheeks. Passengers wishing to carry ash in their hand luggage will be limited to ten 100 cc, clear, plastic containers of ash, presented in clear, plastic bags (available at a profit to airport management companies). 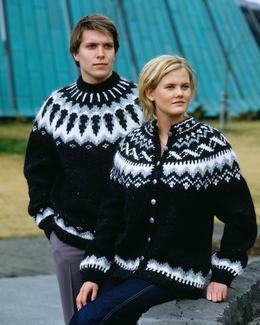 On a related note, in response to the terrorist threat from the North, France is considering banning the wearing of Icelandic sweaters in public. “Zeir wooliness and ziggy-zaggy pattérn are clearly an affront to Liberté, Égalité and Fraternité,” Nicolas Sarkozy might have said. See their beady, terrorist eyes!